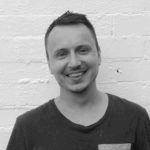 Liam Carnahan is the Head of Content at Croud Australia, a digital marketing agency. He's been working in content marketing for 10 years, after graduating from Emerson College in Boston with a degree in Writing, Literature, and Publishing. In 2013, Liam relocated from Boston to Sydney, where he began working with Croud. Liam built Croud's content offering from the ground up, and now he oversees a large network of content creators, from writers to graphic designers to videographers. He develops and executes creative, SEO-centric strategies for some of Australia's top brands. Liam is also the founder of Invisible Ink Editing, an international fiction editing company for indie authors. He and his team of editors read manuscripts from up-and-coming authors, working with them to refine their prose and create novels that sell.